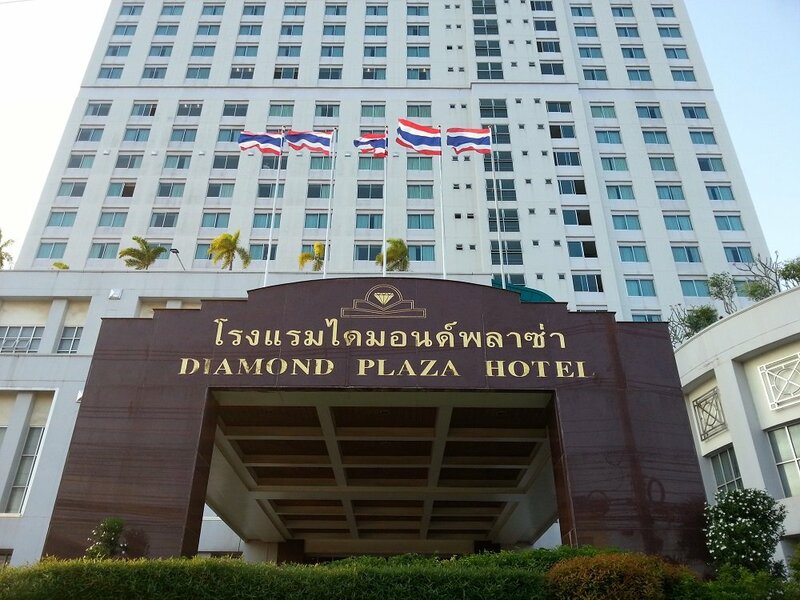 The Diamond Plaza is the best hotel in Surat Thani city, and often not the most expensive. In particular we like 5 things about this hotel: the appearance, the service, the rooms, the location and the food. The Diamond Plaza is a large hotel with 408 rooms spread over 20 floors. The Diamond Plaza is one of the tallest buildings in Surat Thani and probably the grandest. The entry lobby is huge with a high ceiling and a grand staircase leading to a mezzanine floor where they regularly host weddings and business events. Next to the lobby is a large restaurant. There are 6 elevators leading to the upper floors where in addition to the guest rooms there is both a swimming pool and a fitness room. 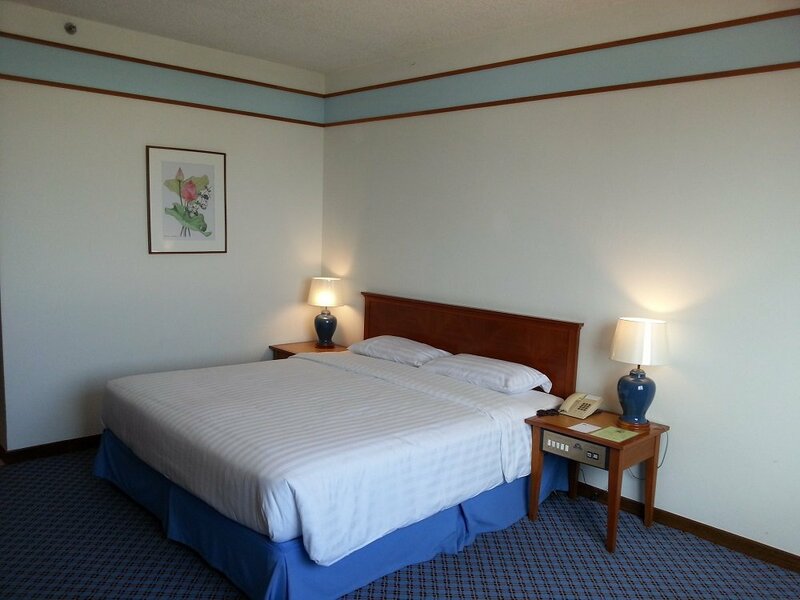 The hotel is very clean and the carpets, tiling, paintwork looks great and it is clearly well maintained. This hotel has the look of a 5 star hotel at the price of a 3 star hotel. The service is very good at the Diamond Plaza. We arrived for our last stay at the Diamond Plaza by minivan from Chumphon which dropped us off on the way on the Sri Wichai Road in front of the Diamond Plaza. Two staff members spotted us and came running across the entrance car park to help up take our bags to the reception desk. Great service before we had even entered the hotel. From there the same staff members took us to the reception desk and then quickly took our bags to the room. The good service carried on with a quick delivery of room service, then in the restaurant at night and again at breakfast. When it was time for us to leave the hotel porter found us a cheap tuk tuk and arranged a cheap fixed price for taking us to our next destination. Seamless service from start to finish. The rooms are large: 32 sqm. The design of the room is good with large windows and a bid bathroom featuring a separate shower and bath tub, something of a rarity except for the larger Bangkok hotel. The bed was queen sized and soft with four large pillow. There is a large wardrobe and luggage area next to the door and a table with two chairs for eating in the room. There is also a fridge and flat screen TV. The free internet worked well as did the air-conditioning units. We only three complaints about the room: no safe, no English language channels on the TV, and no tea/coffee making facilities. Other than that we were very happy with the room. 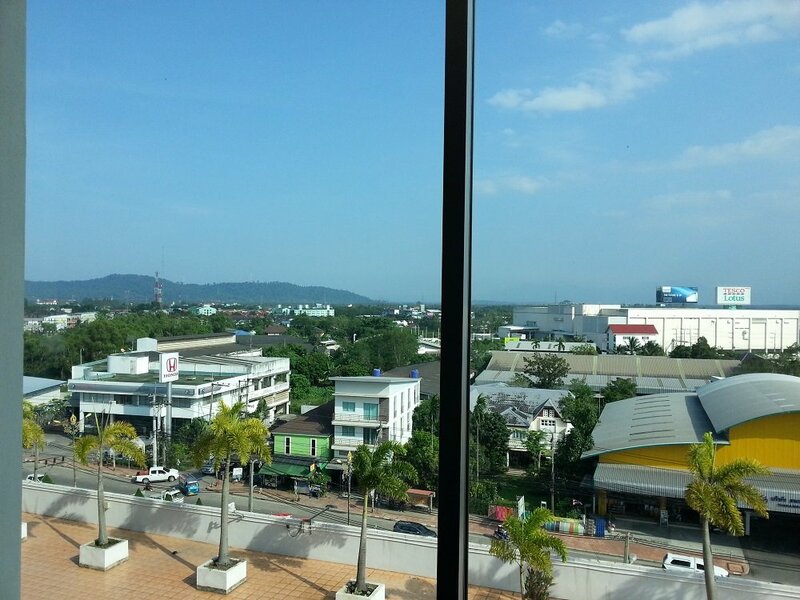 The hotel is 5.6 km from Surat Thani Night Market in the centre of Surat Thani city. 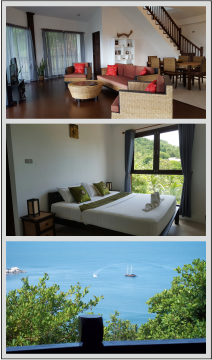 It is, however, very convenient for travel connections as the hotel is located on the major road going into Surat Thani, the Sri Wichai Road. If you are travelling from Surat Thani Airport, Surat Thani Train Station or long distance on a bus or minivan from other towns and cities in Thailand you will pass by the Diamond Plaza on the way into Surat Thani city centre. Just inform the driver where you want to go and they will stop right outside saving you the additional time and expense of getting a taxi or a tuk tuk to your hotel. 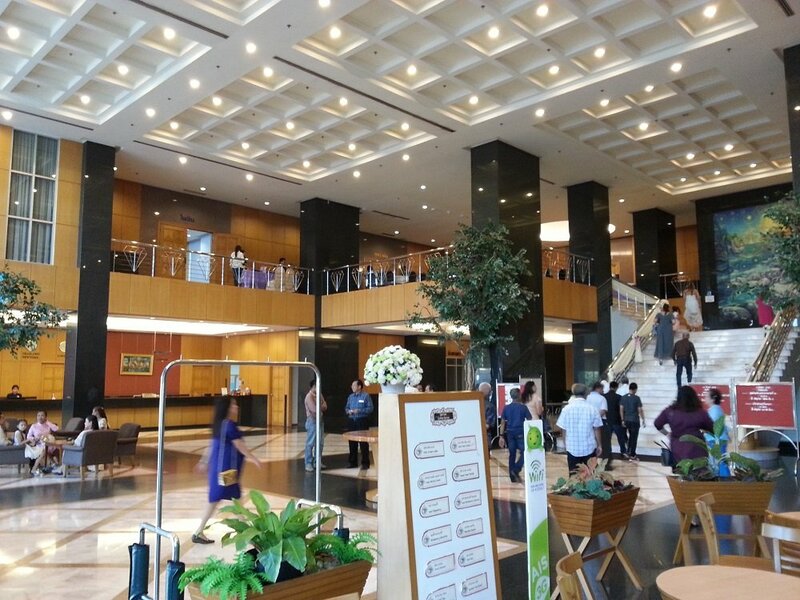 The Diamond Plaza is also close to the two large shopping malls in Surat Thani: Central Plaza Surat Thani is 1.1 km walk away and the Tesco Lotus Shopping Mall is 750 metres away. There are also some small shops and restaurants within 5 minutes walk from the hotel. During our stay at Diamond Plaza we eat there three times: room service for lunch, at the hotel restaurant in the evening, and again for the buffet breakfast in the morning. Other than the food at the excellent Surat Thani Night Market, the best food in Surat Thani is to be found in hotel restaurants. 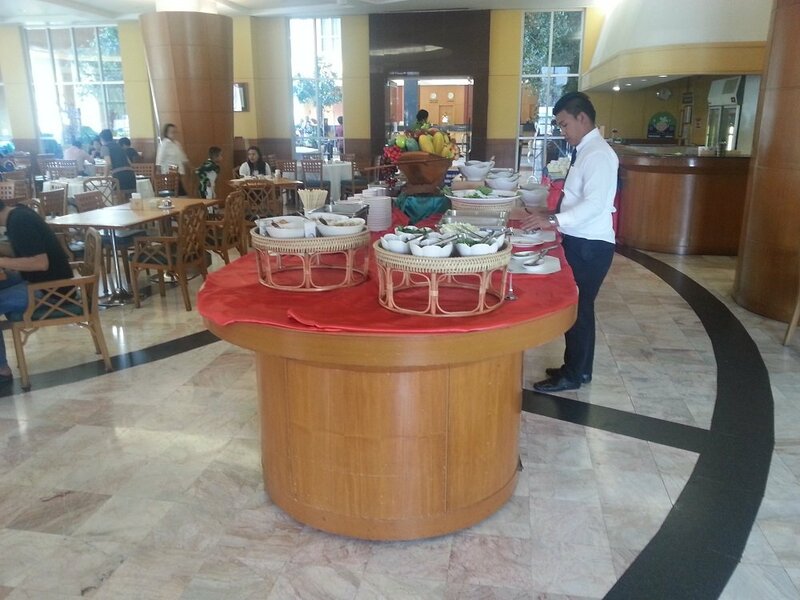 The restaurant at the Diamond Plaza is one of the best in Surat Thani. This said, the food is very reasonably priced. For lunch we had a snack of noodles and a plate of french fries through room service which cost 187 THB inclusive of VAT. In the restaurant we had a number of seafood dishes priced between 120 THB and 150 THB. The portion sizes were generous and the food was well cooked in Southern Thai style. The Diamond Plaza predominantly caters for guests from Southern Thailand, as well as a profitable sideline in hosting wedding, and the menu here features a lot of Southern Thai dishes cooked in the authentic way. The restaurant itself is large, with plenty of staff, and live music provided by the hotel pianist and a singer. The buffet breakfast was an ‘Asian’ breakfast with lots of rice dishes and noodles. In addition there was fruit, salad, bread, eggs, sausage, cereals, tea, coffee, fruit juices and other items. Again the breakfast featured authentic Southern Thailand dishes such as moo kling (dry curry) and khanom jeen (cold rice noodles with curry sauce and pickled vegetables). If Thai food is not you thing for breakfast, then you can eat cereals and milk, eggs, toast and fruit. There are plenty of options at the buffet breakfast.